Similar to blackbird but definitely not one. 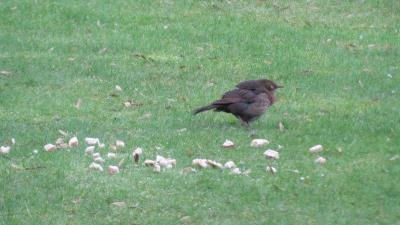 160 Could be a juvenile Thrush. 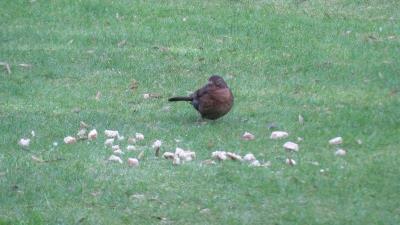 They (like Blackbirds) tend stay where mum can find them.